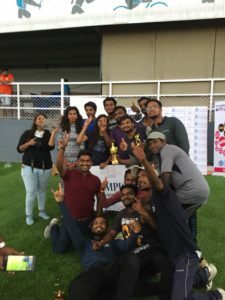 It started with just a casual discussion to initiate ” apartment cricket league ” with an intention to make them play who finds hard to play.The idea was well supported by our Sponsor ” DOLLARS COLONY RELIABLE DEVELOPERS” & The dream came true when 10 apartment association came forward to play the tournament. Well Appreciated by Players, team & sponsors. Cricket is not a sport in India everyone knows it’s a religion, we have seen a lot of corporate cricket tournament happening all over the city but gated community tournament is not so well known. A residential society where busy life kills all time & they don’t get chance to play or play with other community. This initiation was made keeping in mind urban community to become bigger in the name of cricket. When we live in one apartment we usually don’t get an opportunity to know other apartment society people – Cricket is what we thought can be a bridge to bring all of them together. We reached almost 60 premia residential society to communicate about cricket league & motivating them to play with each other. 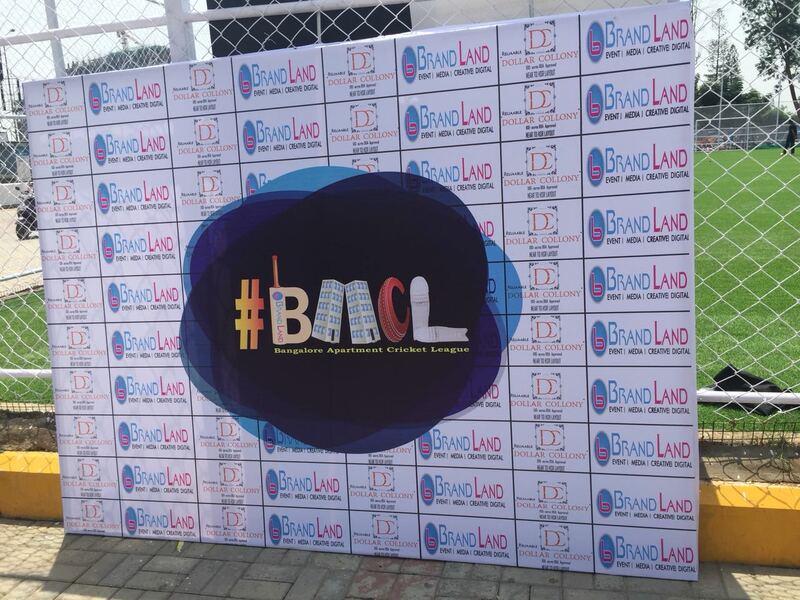 20,000 flyers, 1200 posters & 150 banners have been displayed in all the gated community to inform them same. Campaign Main sponsor “ Dollars colony – reliable developer “ the brand able to penetrate to each individual targeted house through this event. Nothing can be achieved without a challenge so we were no exception. We also faced a lot of challenges, negative comments about this initiation but 12 gated community came forward to support this idea & registered their team to play. After lot of hurdles lot of challenges, we finally arrived on D day & we just started the campaign with the early morning at 8 am 1st matches between Keethi flora & Sree pada association.The excitement I wish I could have explained here on a text. A family of all players came all the way to support their team kids to grandma presence motivated us. 16 Matches 1 Winner & rest our motivator is an amazing campaign for us. It was beyond win or lost, beyond sports, beyond cricket rather it was more like urban society carnival & that’s what we were aiming for.